On the internet the Mayo Clinic described plantar fasciitis as one of the most common causes of heel pain.”It involves inflammation of a thick band of tissue that runs across the bottom of your foot and connects your heel bone to your toes (plantar fascia).” The article goes on to say that the cause is not known and that it can lead to back and hip problems. (address of the article: http://www.mayoclinic.org/diseases-conditions/plantar-fasciitis/symptoms-causes/dxc-20268536). In the world of Bowen Therapy (Osteopaths get this), we see the body as a whole, not pieces and parts. For us, everything is connected and therefore intimately involved with everything else. When someone comes to me with plantar fasciitis, the first thing I am going to address is balance in the hip structures. A “conventional” medicine person would probably not look above the ankle. You see if the hips are out of balance, it causes one leg to appear shorter than the other, and you end of putting much more pressure on the “long leg” foot thereby straining the muscles, tendons, ligaments, fascia on that leg. All of those soft tissues transfer weight/pressure/strain to the foot causing tightening of the fascia in the foot. You can massage that foot all you want (and this is good! don’t get me wrong) but you are not fixing the initial problem in most cases. You have to address balance in tension of the soft tissues from the hips down, and sometimes from the neck down. It’s all connected! So, if plantar fasciitis is a problem for you- come see me! This entry was posted in The Bowen Technique and tagged bowen therapy, fascia, plantar fasciitis on May 26, 2017 by penny michaels. I’ve been practicing Bowen Therapy for years-and for just as long I have been struggling with explaining Bowen Therapy in a way that actually makes sense to people. One of my instructors, An Australian Acupuncturist/Bowen Therapist, doesn’t have this problem. That is because in Australia, the UK, and much of Europe, Bowen Therapists are as abundant and well-known as chiropractors are here. Unfortunately, this is not the case (yet) in the U.S. I think that is about to change, and this is why: Tons of research regarding fascia that has been conducted over the last decade is being published everywhere you look! Fascinating research that explains much of what Bowen Therapists see everyday. What is fascia? Well, again, that definition is in flux. It is getting more complex everyday with more and more information becoming available. From Anatomy Trains author Tom Myers regarding fascia: “Fascia is the biological fabric that holds us together, the connective tissue network. You are about 70 trillion cells – neurons, muscle cells, epithelia – all humming in relative harmony; fascia is the 3-D spider web of fibrous, gluey, and wet proteins that binds them all together in their proper placement. Our biomechanical regulatory system is highly complex and under-studied – though new research is filling in the gap. Understanding fascia is essential to the dance between stability and movement – crucial in high performance, central in recovery from injury and disability, and ever-present in our daily life from our embryological beginnings to the last breath we take”. So how does this help in explaining Bowen Therapy? When a Bowen Therapist puts her hands on people and lightly manipulates “pieces and parts”, she is directily manipulating fascia. 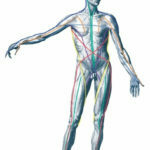 Fascia to me is like the communication superhighway of the body. Every signal sent through it through direct pressure, sends signals back and forth between the brain and the rest of the body. This is how we “tell” the brain to change tension in various muscles, tendons, and ligaments. And this is how we restore the body to balance; thereby eliminating pain and dysfunction! And voila! Our clients are no longer in pain, no longer have to look to invasive procedures or drugs, and they return to their normal activities. Until next time- health and happiness to you! This entry was posted in The Bowen Technique and tagged bowen therapy, fascia on October 18, 2016 by penny michaels.